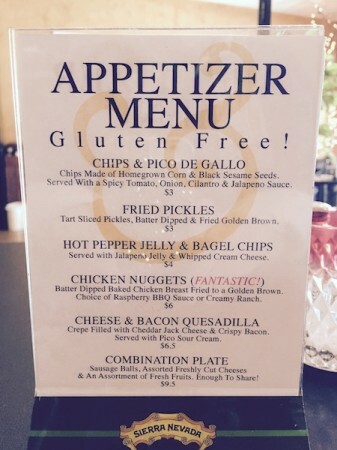 Relax…gluten-free is an option everywhere in Asheville! Want an easy-to-be-gluten-free vacation? 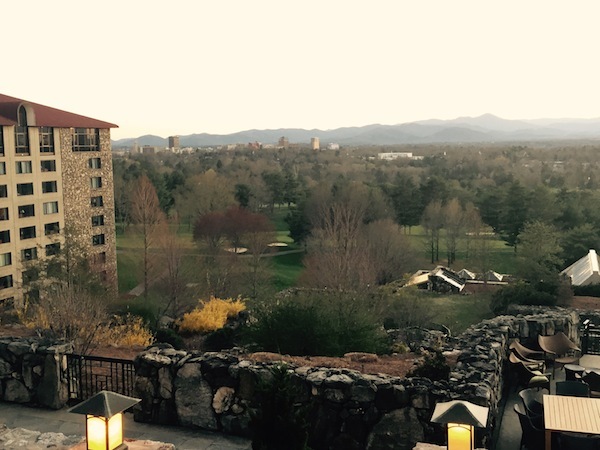 Asheville, North Carolina is a great choice. Set in a bowl surrounded by the beauty of the Great Smoky and Blue Ridge Mountains, Asheville has a robust farm-to-table culinary culture. There are tailgate markets all over the city and restaurants serve delicious combinations of fresh ingredients. Imagine a salad topped with roasted peaches served over house-pickled beets or lobster nachos in which the rich flavor of the guacamole and slaw rival the lobster on the palate. 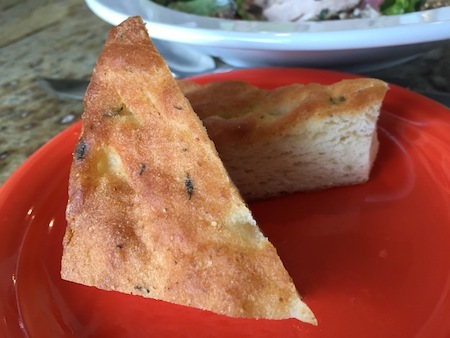 If you’re in the habit of ordering a salad without croutons to keep gluten-free ordering simple, you’ll be pleasantly surprised to discover that your waiter will usually offer you a side of bread. Don’t worry. He didn’t misunderstand. Gluten-free is mainstream here. Often from a local bakery, your bread may be slices of toasted loaf bread or it could be focaccia-style rosemary slices. In the mood for a burger? Of course there’s a gluten-free bun available. Want a crepe? 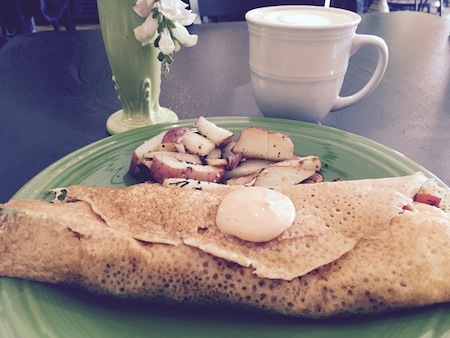 Oh look, all the crepes are gluten-free even if you’re not! The gluten-free options don’t end with the city limits. In nearby Weaverville, you can feast on appetizers like fried pickles, chicken nuggets, bagel chips, and sausage balls. There are other great offerings in Arden, Fletcher, and Hendersonville. There’s no question you will eat well and can choose to eat healthy with no particular effort when in Asheville. That means lots more time to relax, and energy to enjoy the beauty, while you experience an abundance of recreational options. From outdoor choices that include hiking, biking, fishing, and rafting to indoor choices that encompass art or craft galleries, spa treatments, winery tours, outlet mall shopping, and touring the Biltmore Estate, there is ample opportunity for fun. Have a place you find easy-to-be-gluten-free? Let us know below so we can enjoy it too!